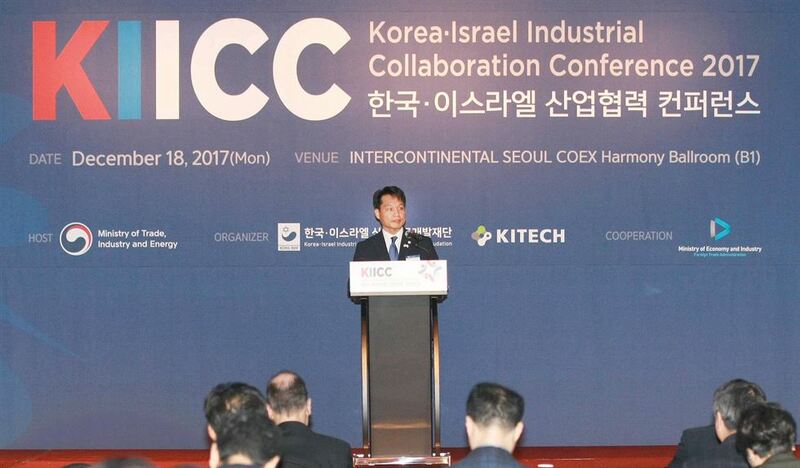 On December 18th, 2017, Korea Institute of Industrial Technology (KITECH) hosted Korea-Israel Industrial Collaboration Conference with Korea-Isreal Industrial R&D Foundation (KORIL) at COEX, Seoul. The conference was geared toward working together on developing robotics and self-driving vehicles, according to the Korean ministry of trade, industry and energy. The conference opened with a keynote speech from Mr. Dov Moran,an Israeli entrepreneur and inventor who developed the USB memory stick, followed by matchmaking sessions for Korean and Israeli companies. KITECH also participated in the matchmaking process, as it has been developing a cooperation model between KITECH and Israeli venture companies. The aim for the cooperation model is to match Korean manufacturer with Israeli venture companies.